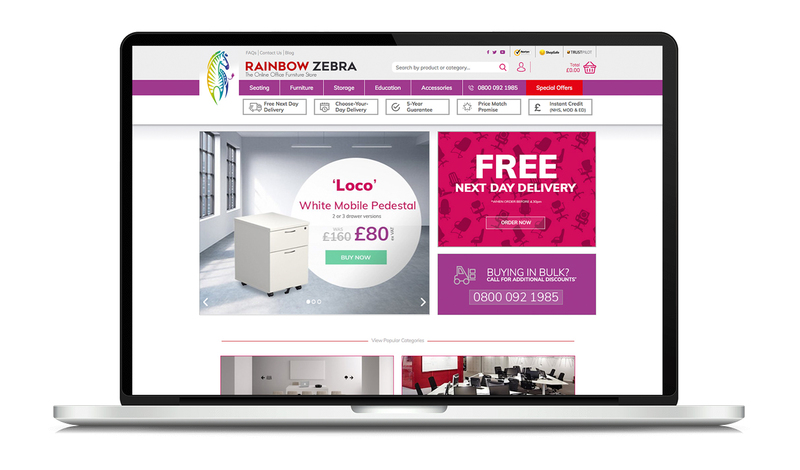 Rainbow Zebra are an online office furniture retailer with years of experience delivering chair, desk and storage solutions to home offices, SMEs and corporate customers across the UK. 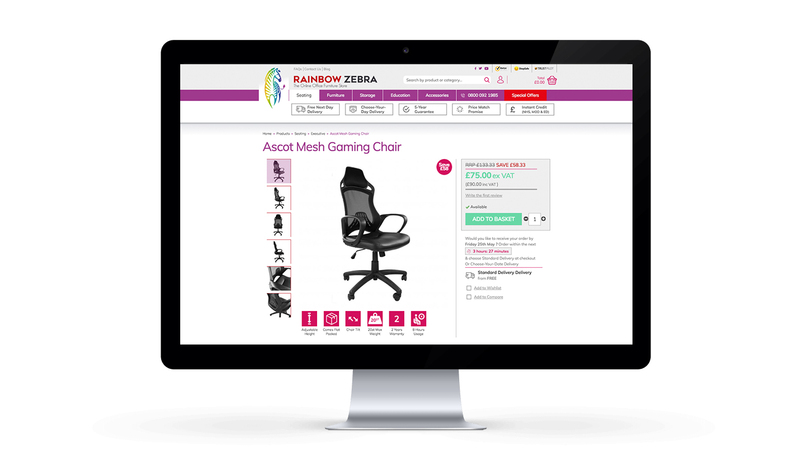 Brief Rainbow Zebra have been a successful player in the online office furniture market since 2010, however its previous website had started to show its age. 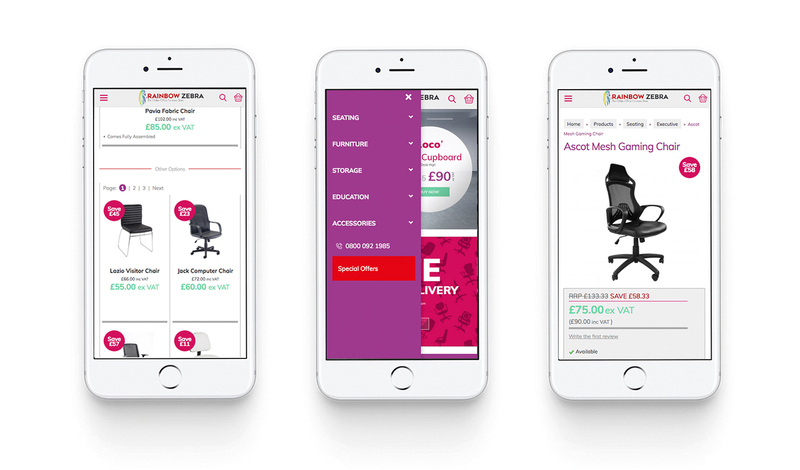 RZ wanted to retain the reputation, stylisation and, importantly, conversion rate of the previous site but bring the overall user experience up-to-date. 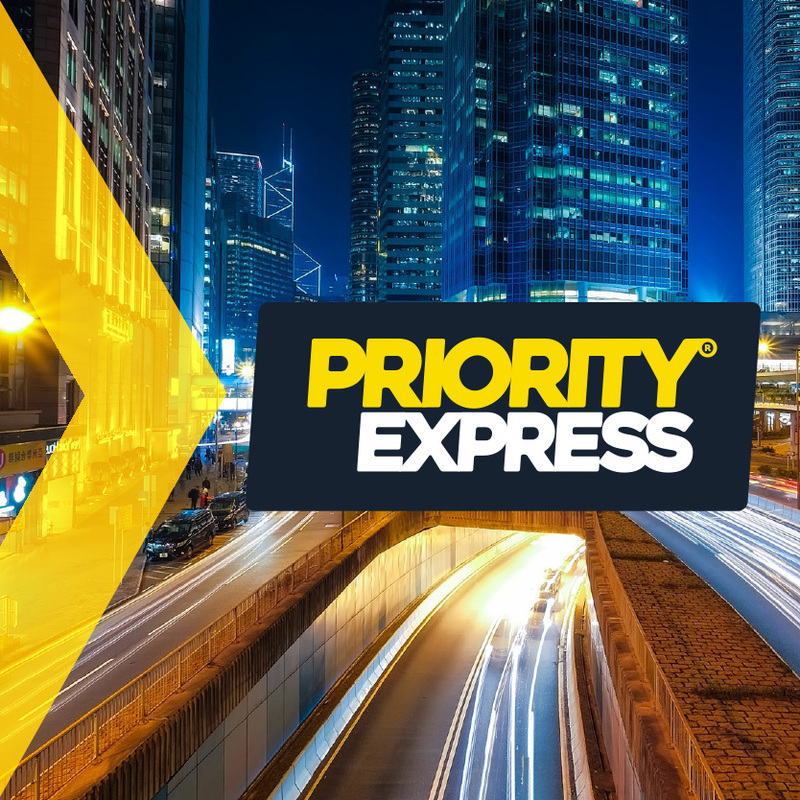 In addition, RZ wanted to streamline the back-end of the site to integrate more efficiently with its suppliers and other third parties to allow the team to concentrate on customer service and product innovation rather than day-to-day administrative tasks. Visit www.rainbowzebra.co.uk to see the results for yourself.